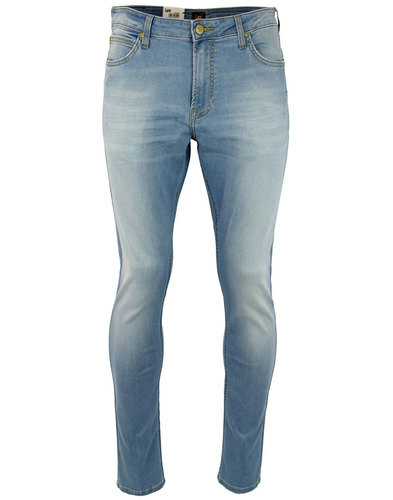 Pretty Green 'Erwood' Men's Mod slim leg selvedge denim jeans in rigid indigo denim. A rich and dark colour way that makes for the perfect pair of selvedge jeans. Cool Retro contrast stitch, Pretty Green signature waistband patch and 5 pocket western styling. Pretty Green 'Erwood' selvedge jeans looked great turned up for that classic James Dean Americana look. 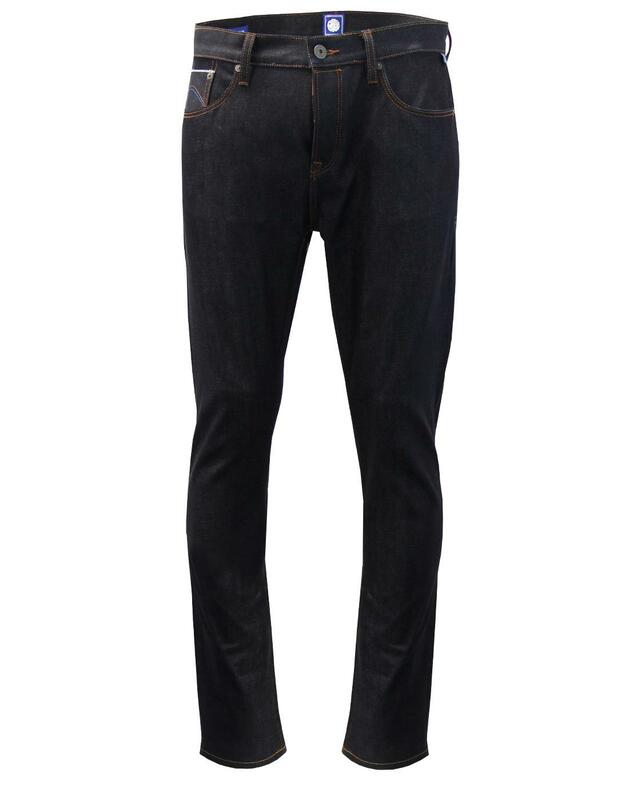 A cool Mod classic - Pretty Green 'Erwood' selvedge denim jeans. 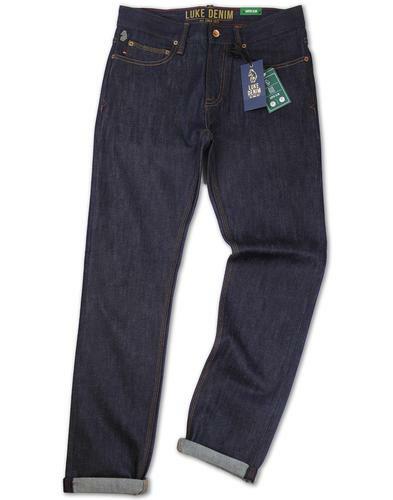 Pretty Green 'Erwood' men's mod selvedge denim jeans in indigo. - Only given a light wash to ensure an authentic and rich indigo finish. - Button fly and waistband. 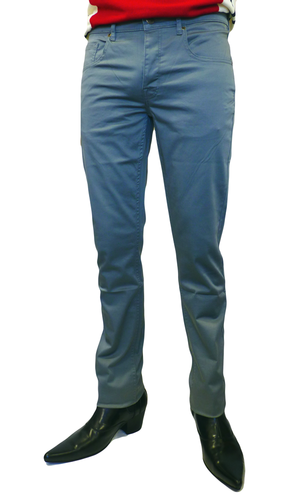 - 5 Pocket western style denim jeans. - Selvedge detail to coin pocket. - Wear as turn ups to unveil the classic selvedge seam. - Rigid cotton denim construction. 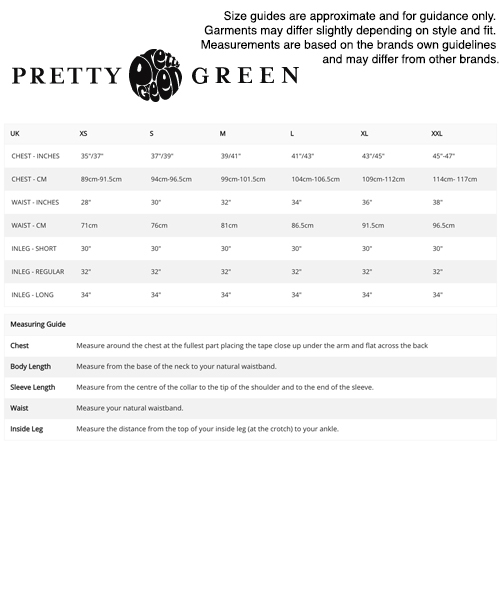 - Pretty Green leather back waistband branding. 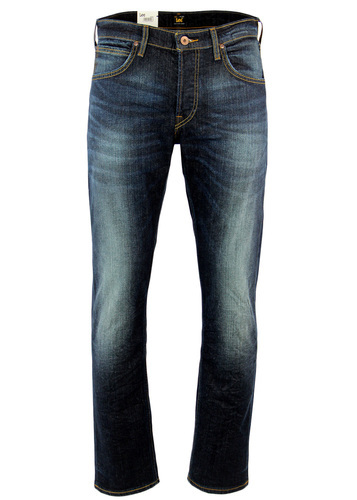 - SKU: A7GMU16049221 Erwood Selvedge Denim Jeans. Care: Machine wash Please refer to garment care label. Please note: Dye may transfer onto other surfaces when wet or damp. Wash separately. Some fading may occur with washing. This is to be considered a feature of the garment, making each pair unique.